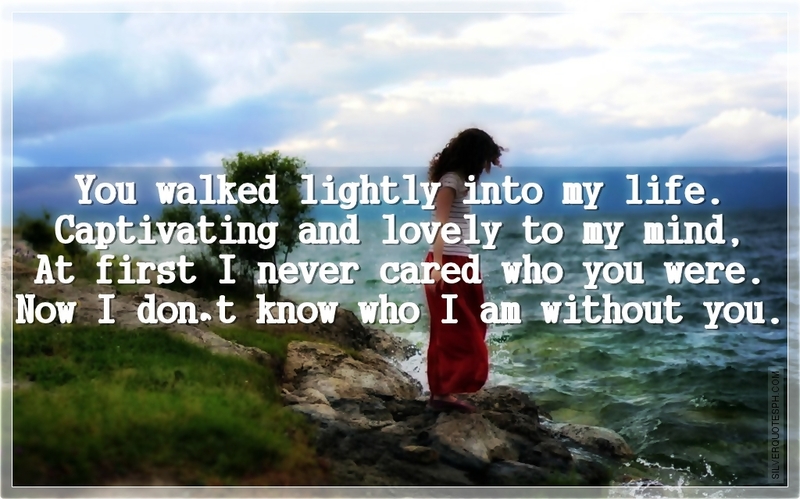 You walked lightly into my life. Captivating and lovely to my mind, At first I never cared who you were. Now I don’t know who I am without you.